Check out Tobi's Type Of Love Shift Dress We know you can't resist a solid shirt dress to take you through the seasons. Wear the Type Of Love Black Shift Dress, featuring a crew neckline, short cap sleeves, A-line construction, and back zipper. 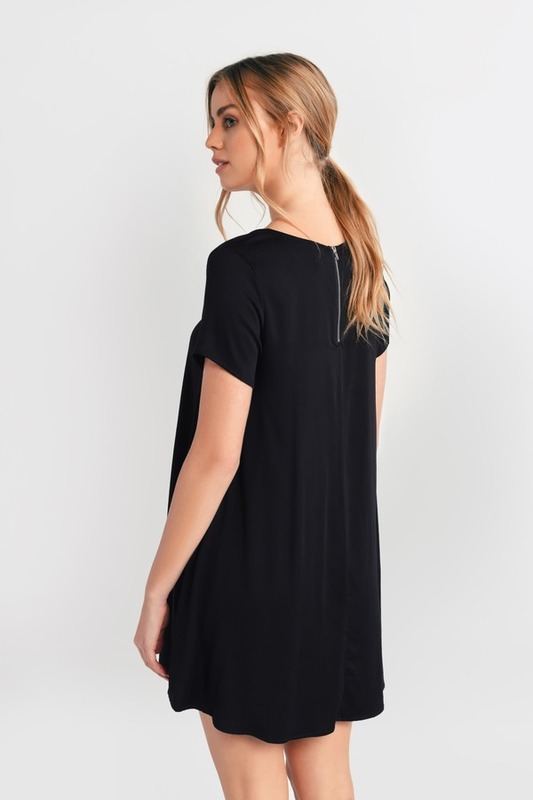 This casual curved hem t shirt dress will look on-trend with chunky trainers. We know you can't resist a solid shirt dress to take you through the seasons. Wear the Type Of Love Black Shift Dress, featuring a crew neckline, short cap sleeves, A-line construction, and back zipper. 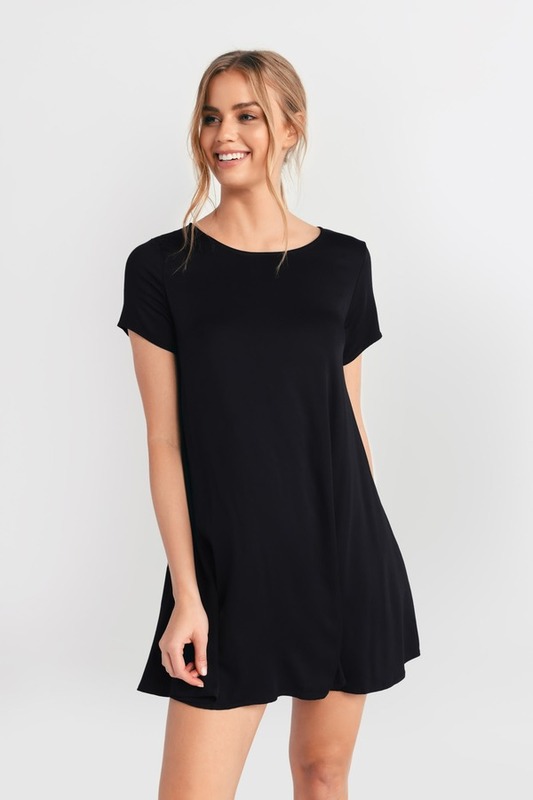 This casual curved hem t shirt dress will look on-trend with chunky trainers.